If you are monitoring large environments you may be are using Mod_Gearman to spread the execution of checks using multiple worker nodes. However, unfortunately I had the problem that the Gearman Job Server eats 100% of my CPU time if more than 450 workers tried to connect to it and gearadmin --status stuck and did not return information anymore. 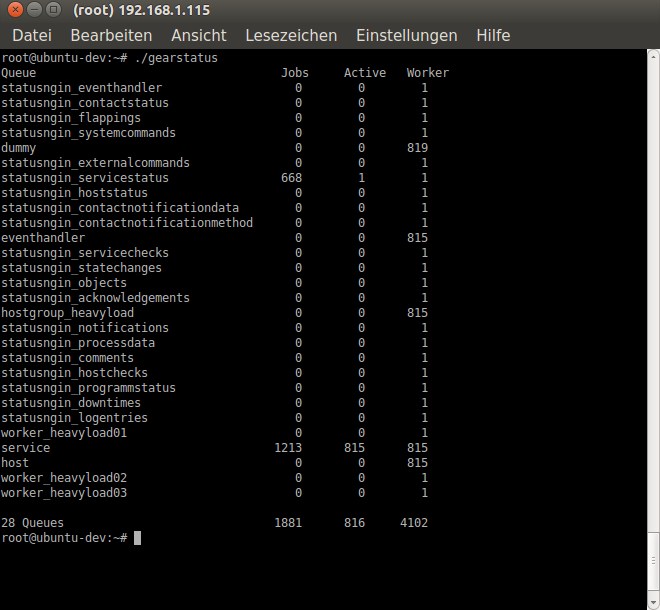 By default the Linux kernel set a limit of 1024 open files which is bad for MySQL servers or the Gearman Job Server. To fix this issue, you need to increase this limit.